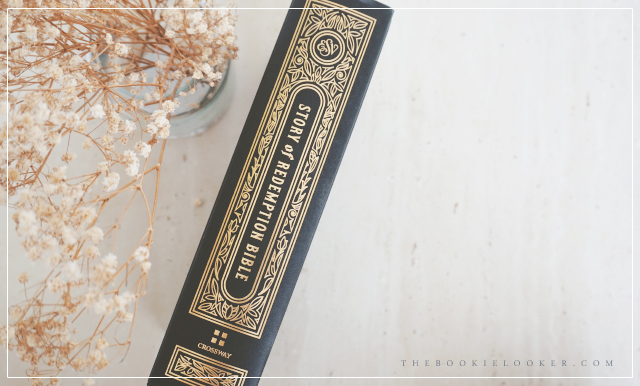 The ESV Story of Redemption Bible is an exquisite new addition to the Crossway Bible collection. I got an amazing privilege of being sent a copy for review by Crossway, and I am amazed by the intricate details of this Bible edition. There is something especially unique that makes this Bible quite different than the other ones. In this ESV Story of Redemption Bible there are 897 notes/commentary written by Pastor Greg Gilbert that explains how every part of Scripture fits together and is ultimately centered on Christ. I've read the whole Bible several times, and each time I always some parts of the Bible that are difficult to understand. That's why I'm really excited to start reading this version of the Bible because there are various maps, illustrations, and timelines that will help us gain new perspective on the whole story of redemption. "It is no exaggeration to say that the Bible is the most sweeping and engrossing and enthralling epic ever written. It spans the entire history of humanity, from Adam’s first breath in the garden of Eden to the final song of the redeemed in eternity. It tells of kings crowned and deposed, nations created and destroyed, dynasties raised up and brought to the ground. Armies clash, cities rise and fall, priests sing and sacrifice, and prophets point to the future. And through it all—through the triumphs, the defeats, the rejoicing and weeping of ordinary men and women—God is carrying out, step by step, his mind-blowing plan to save mankind from destruction." First of all, I'm going to review the overall presentation of this Bible 😍. Crossway sent me the hardcover edition, which has gold engraving on the jacket. 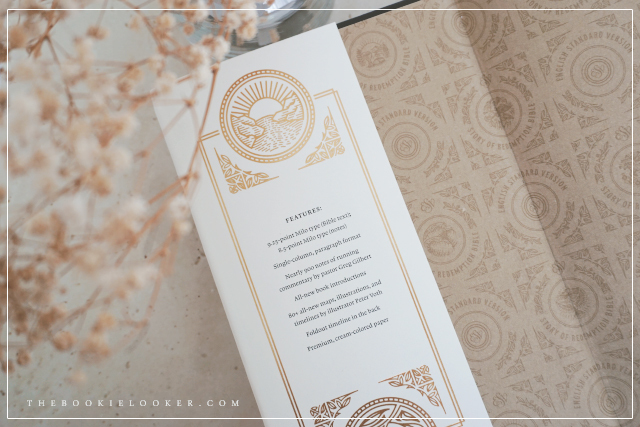 All of the illustrations have intricate designs that are consistent throughout the whole Bible and most of them are printed in gold color, which makes it looks very elegant. I love the fact that the illustrations doesn't only serve as decorations, but each of the title illustrations have specific meanings. 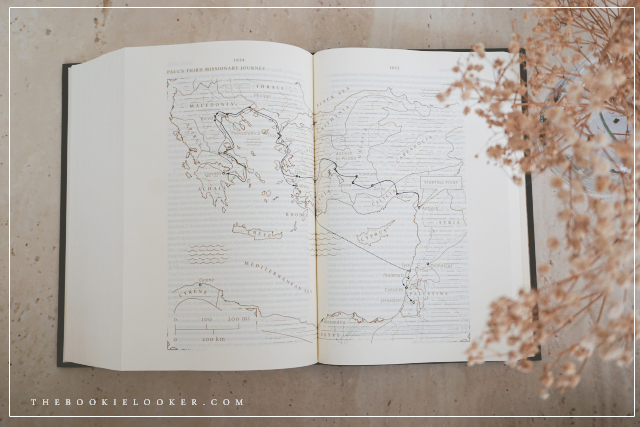 The second thing that I'd like to mention is how much I love the layout of the Bible. It's printed in a single column and I think the font size is also considerable bigger than usual—which makes me feel like reading a book rather than the traditional two-column Bible. I also really appreciate the margin on the sides which gives a lot of room for me to take notes 😊. 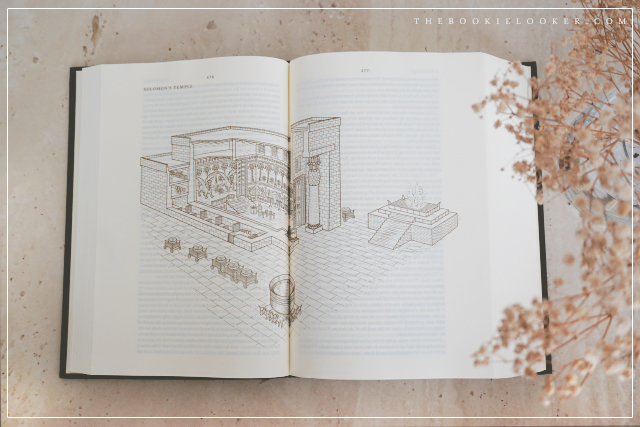 The pages are cream-colored and very smooth to write on. 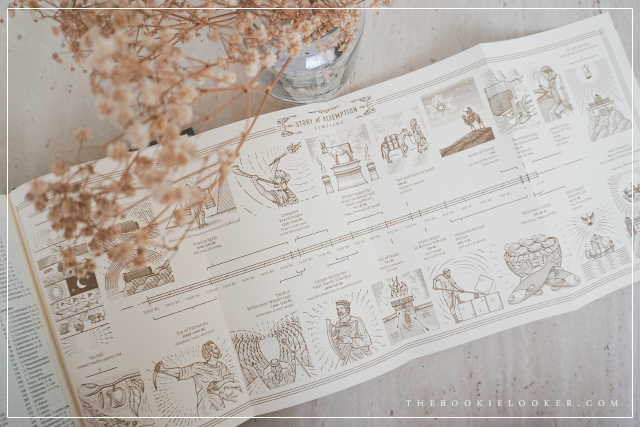 In this Bible, there are 80+ maps and illustrations that will help us understand and have a visual presentation of what it was like in those days. I think one of the biggest hurdles of Bible reading is the fact that we're not living in the same era as the people in the Bible, thus we struggled to understand the cultural background that surrounds the whole story. Since I'm also a very visual person, these additional information certainly encouraged me to do my own personal Bible study 😊. There are also introductions at the beginning of each book in the Bible, which gives a brief explanation of what the book is going to be about. These introductions keeps the flow of the story and reminds us the connection between one book and the next one. It's a really good way to refresh our memory of what happened in the previous book and continue on with the story. As I've said earlier, the main addition in this Bible edition is the notes/commentary written by Pastor Greg Gilbert. These notes reminds us the progression of the whole story, explaining some of the cultural elements, and points out key events that we need to remember. 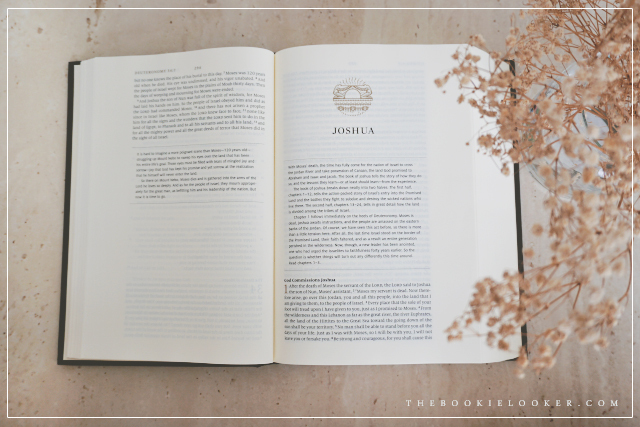 The commentaries are written in a conversational style, so it kind of feels like someone is reading the Bible alongside us; giving us the knowledge that we need to fully understand the context of what we're reading. 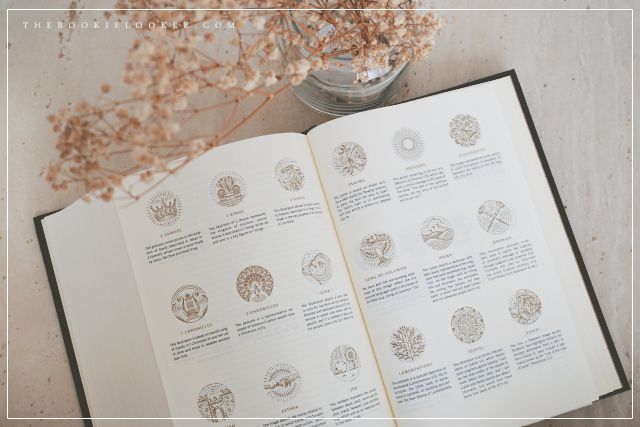 At the back of the Bible there's an Index of Title Illustrations, which explains the meaning of the illustration for each book in the Bible. And there's also the Story of Redemption Timeline, that begins from Creation until the time of New Heavens and a New Earth. If you want to read more about the timeline, Crossway posted an infographic article that you can read here. In between those two, a section called Daily Bible Reading Plans provides two options: chronological order or canonical order reading plan—in which you will be able to read through the entire text of Scripture in one year. I am excited to try reading the Bible in chronological again (I did it 2 years ago), because right now I'm finishing up the Old and New Testament reading plan 😊. 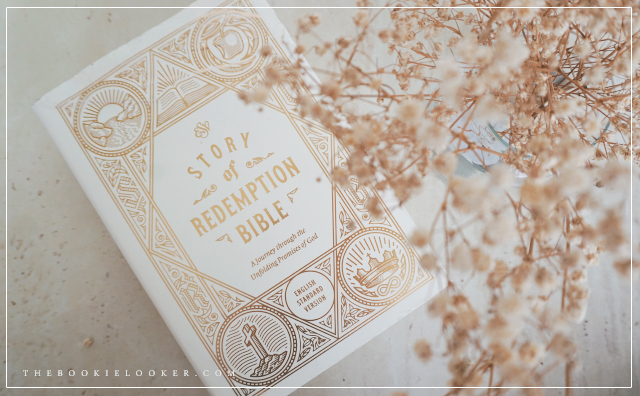 Receiving this copy of ESV Story of Redemption Bible gives me an excitement to study the Bible more because I know how amazing the story of redemption is. I'm looking forward to writing reflections on the Bible and how my perspective changed as I'm reading it from start to finish. I am also encouraged to go back to reading a physical Bible instead of reading the Bible on my phone (which I've done for the past 2-3 years). Taking my time to sit down and read a physical Bible gives me the opportunity to stop and reflect on God's Word without being distracted 💓. Overall, I am amazed by the hard work that's been put to publish this beautiful edition of the Bible. I would totally recommend this book for those of you who are reading the Bible for the first time, or for those who have read the Bible several times but still craves to know more and deeper, like me 😉.